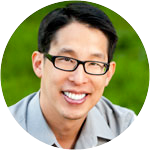 Gene Luen Yang began drawing comic books in the fifth grade. In 2006, his graphic novel, American Born Chinese — a memoir about growing up as an Asian American — became the first graphic novel to win the American Library Association’s Printz Award. He is the author of the Secret Coders series and has written for the hit comics Avatar: The Last Airbender and Superman. In 2016, Yang was named the 5th National Ambassador for Young People’s Literature and selected as a MacArthur Fellow. Visit Gene Yang's official website. What we get back from the work of connecting readers to stories is the big payoff. Thanks you two....for giving so much, including this podcast. Kate's visit to SPL still is a 3rd grade teacher's high-point library experience. Gene, when you get to Seattle, we've got to talk.